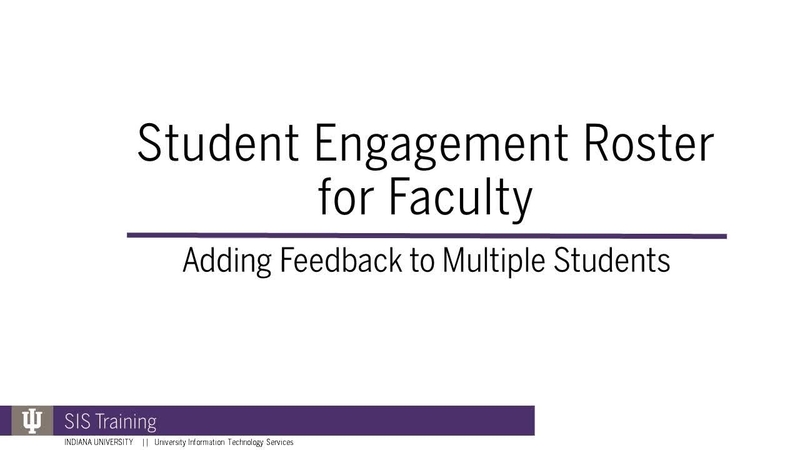 The detailed instructions for faculty using the Student Engagement Roster (SER) for student feedback. Topics include accessing your SER rosters, navigating SER, adding feedback to individual and multiple students, removing feedback, managing students in your SER roster, how to follow up in SER, and how students can access SER. The five faculty-focused videos lead off this Kaltura Channel with a video for advisors on finding and reviewing SER feedback makes for a thorough tour of the features and tools embedded in the Engagement Roster to maximize the feedback process. Advising departments and offices who support student success follow these directions to find and review SER feedback for students. 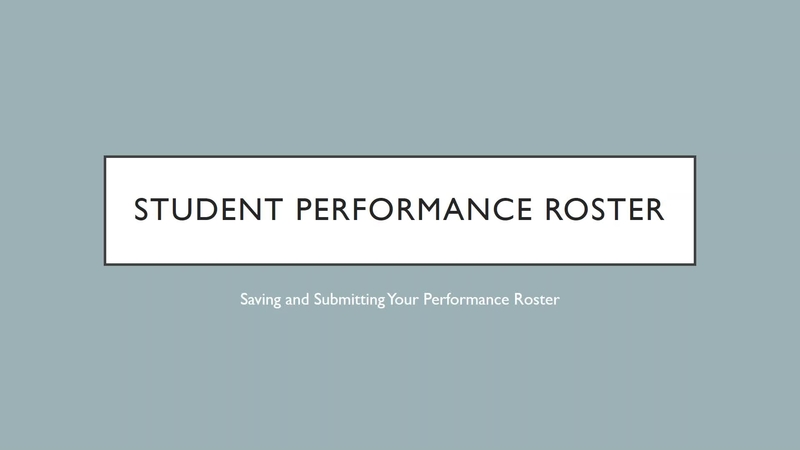 The first document listed above describes how to view, update, and submit the Student Performance Roster through SIS. This KB doc also gives details on multi-component classes, how to deal with students not on the roster, and student access to their alerts. The second KB doc shows how an instructor can upload attendance values for a class by using a prepared file. Instructions for faculty using the Student Performance Roster and the differences between Save and Submit options for early alert feedback.